From the New York Daily News, a Long Island, N.Y. couple has recently applied for a trademark registration for (you guessed it) “OCCUPY WALL ST.” The application was filed on October 18 as an intent-to-use (ITU) application, listing a variety of products including clothing, bags, and bumper stickers. Depending on your outlook on things, it’s temping to be cynical (perhaps even from both “sides” of the aisle) at first, and I’ll admit that was my first reaction. Moving beyond that reaction, though, I think that both the protesters and their critics can (at lease hopefully) agree that small business and entrepreneurship are vital to our economy. And Robert Maresca (who appears to have filed under his wife’s name) is certainly an entrepreneur. Sometimes, it’s not about the money (as UK pop-singer Jessie J so catchily reminded us 156 million times or so, according to YouTube). Sometimes it’s about principle. Much of my non-trademark work centers on working with nonprofits. And when nonprofit clients ask me trademark questions, I try to distinguish the sort of interests nonprofits and for-profits would have in trademark protection. For nonprofits, there’s not such a clear “good branding equals more revenue” correlation. For them, it’s about their message and making sure that that message is protected and not tarnished, maligned, or confused by those with conflicting values. If you’ve been on a New York City subway post-9/11, chances are you are familiar with the following imperative that appears on trains and in stations all over the city: “IF YOU SEE SOMETHING, SAY SOMETHING.” The slogan is part of a public safety campaign by the Metropolitan Transit Authority (MTA). Ron Coleman has a nice post this week (and he’s actually been covering this one for a while now). The New York Times also ran a story this week that offers a detailed history of the birth of the slogan for those interested in its origin. “Since obtaining the trademark [registration] in 2007, the authority has granted permission to use the phrase in public awareness campaigns to 54 organizations in the United States and overseas, like [sic] Amtrak, the Chicago Transit Authority, the emergency management office at Stony Brook University and three states in Australia. So if it’s not about licensing revenues, perhaps it’s about upholding the “integrity” of the slogan. This raises two distinct questions: (1) With respect to granting licenses, I am curious as to how the MTA determines where to “draw the line” in terms of who gets permission. (2) What about trademark dilution? If the mark is as famous as everyone is saying, what, if anything, will the MTA do about potential dilution (whether by blurring or tarnishment)? For example, what about this similar use, which is arguably a parody? UPDATE : Here’s an update in the parody/social commentary vein, and this is the first and probably the only time I will have an opportunity to say this on my blog: actor Rick Moranis has just published a poem that’s relevent to this topic. Don’t believe me? Check out yesterday’s Times. If you visit Google.com today, you’re in for a surprise. That’s right– your eyes aren’t playing tricks on you– Google has changed its name to “Topeka.” This is just the latest in a long line of Google’s April Fools’ hoaxes. In Pittsburgh (and in Baltimore, and Philadelphia, and Boston, just to name a few), it works something like this. First, you spend the an hour or so shoveling the freshly fallen snow (if you’re lucky) or the hardened, impossibly heavy slush (if you’re not so lucky) to carve out a parking space for your car. Then, when you need to leave the spot, you take an item– perhaps a chair, but trashcans, traffic cones (I’m still puzzled as to how so many of my neighbors just have these lying around at their homes), and even ladders will suffice– to place in the spot as a way of claiming it while you are away. When you return, your spot is (generally) still there. This logo (via wearpittsburgh) captures the sentiment nicely, and in a tasteful black and gold, might I add. But there’s debate to be had. Prof. Michael Madison has a nice summation of both sides of the debate (“pro-chair” and “anti-chair“). The pro-chair argument basically tracks the argument for the traditional labor theory of value, famously articulated by John Locke. This argument says “I shoveled the spot; now it’s mine.” Adding to that argument, you could argue that without the resulting property right people wouldn’t have an incentive to shovel out parking spaces. The anti-chair argument basically says that people are going to shovel out parking spots no matter what, so there is no need to provide an incentive to do so. Prof. Madison focuses on the nasty self-help remedies (e.g., keying someone’s car or heaping snow on top of it when they “steal” a parking spot that was previously claimed) as one factor that favors the anti-chair camp. So who’s right? Boston has attempted a compromise somewhere in the middle, which I think makes sense, at least in theory. The rule in Boston is that you can keep a spot once you shovel it out and mark it, but you only get to keep it for 48 hours. The Boston Rule agrees with the pro-chair camp’s basic point– people won’t shovel out spots (or at least as thoroughly) if you don’t give them some sort of expectation that the spot will be there when they come back. But the Boston Rule (again, at least in theory, because no one in Boston seems to be following it, according to the article) also recognizes that, unless people have to give up their spaces at some point, the city will remain filled with mounds of snow where decent parking spots used to exist. This is a great argument from an economic efficiency standpoint– and it’s probably the best argument for the anti-chair camp. 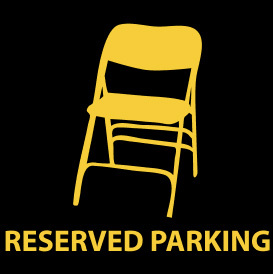 In any event, the parable of the parking chair offers a couple of important lessons. First, property rights matter. No matter how you shape them in terms of breadth and scope, property rights at some basic level are essential to getting things done, be it the creation of a parking space or the development of intellectual property. Second, custom is sometimes more powerful than law. Many of us will take a calculated risk when the risk that’s being taken is only a parking ticket. But how many of us in, in Pittsburgh or in Boston, really want to take the risk of moving some guy’s carefully-placed lawn chair? Senator Patrick Leahy (D-VT) has introduced a bill, The Trademark Law Technical and Conforming Amendment Act Of 2010 (S. 2968), that would make some technical changes to the trademark maintenance system within the United States Patent and Trademark Office (USPTO) and would initiate a mandatory study by the Deparment of Commerce to examine whether large corporations are using trademark law to harrass smaller businessses by exaggerating their scope of their trademark rights. 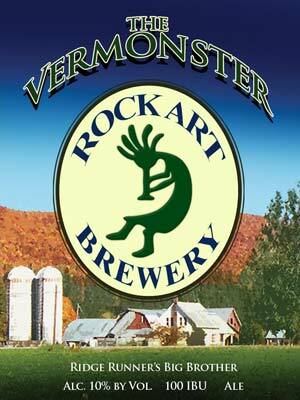 The impetus behind the portion of the bill requiring the Department of Commerce study comes from the recent dispute between Hansen Beverage Co., the maker of MONSTER energy drinks, and Rock Art Brewery, Vermont microbrewery, regarding Rock Art’s use of the name “VERMONSTER” in connection with a barleywine. It will be interesting to see what comes of the bill, and whether the Department of Commerce can effectively sort out true cases of “bullying” in way that achieves a balance between the rights of large brand owners, on the one hand, and small businesses, on the other. The White House is currently handling two separate disputes related to unauthorized use of images of President Barack Obama and first lady Michelle Obama. Oddly enough, both matters relate to the first couple’s preferences for outerwear. For the President, it was his decision to wear what was apparently a coat made by the Weatherproof Garment Company when visiting the Great Wall of China that led to the current controversy surrounding the unauthorized use of his likeness on a billboard in Times Square. For the first lady, it was her decision not to wear fur coats that led to PETA’s unauthorized use of her likeness as part of its anti-fur campaign. The ultimate issue legally in both cases is whether an “endorsement” has taken place. Weatherproof could argue that the use of Mr. Obama’s image (which was licensed by the Associated Press) is merely a factual depiction, and that nowhere on the ad does it explicitly say he has endorsed it. PETA could similarly argue that its use of Mrs. Obama’s image along with the words “Fur-Free and Fabulous!” is merely a statement of fact, namely that the first lady does not wear fur. Both arguments are likely fairly weak, as the White House could just as well argue that, in both instances, the parties’ respective uses create an implicit endorsement. Right of publicity cases generally involve commercial celebrities (athletes, entertainers, etc.) who frequently license their likenesses for profit. The Obama cases are interesting because they raise these issues in a context (presidential politics) where they generally don’t arise as often. For advertisers and businesses, the takeaway here is kind of a no-brainer: don’t use images of well-known politicians without their permission– especially in a manner that is likely to suggest sponsorship or approval.